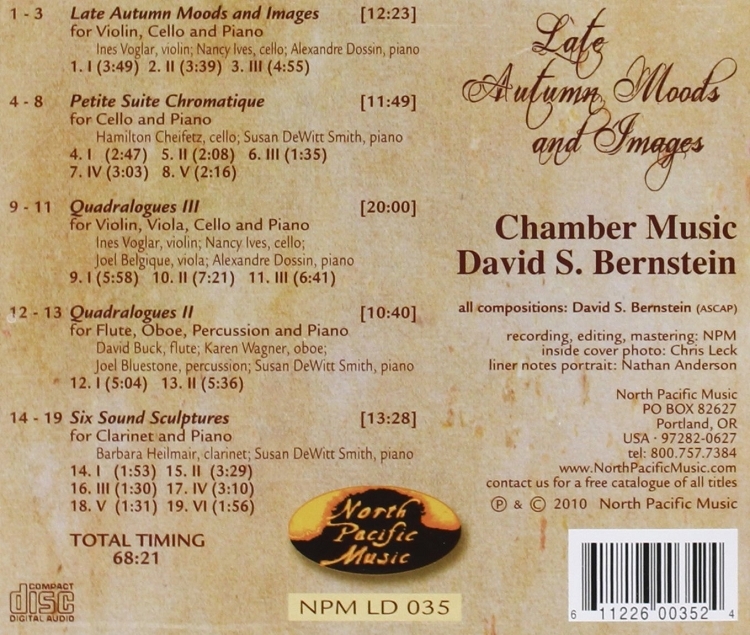 Commissioned by the Schubert Club of the Jerome Foundation in St. Paul, the three movements of LATE AUTUMN MOODS AND IMAGES were composed in 1990. The first movement includes several phrases from the Protestant hymn tune "Come Ye Thankful People Come." The melodic fragments of the theme should be obvious much of the time although there are a number of instances where their use is much more abstract. Movement II, sub-titled "Dances with..." refers to the idea of attempting to fuse two entirely different dance melodies into a single movement. 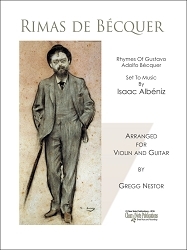 The composer came across these dances from an old collection of Hebrew and Jewish songs and dances arranged for accordion. 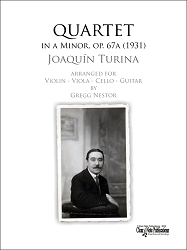 The third movement does not use any musical material from another source. It does, however, attempt a synthesis of seemingly contradictory style elements. 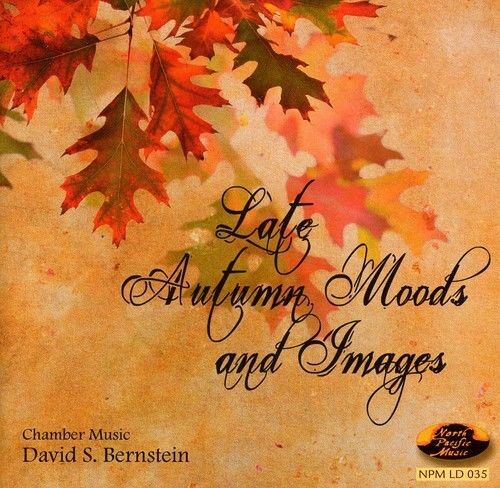 Enclosed within it are passages of contrapuntal pandiatonicism that "fuse" with dense chromaticism...tonal, triadic elements integrated with gapped semitone clusters, and etc..
Composers & Arrangers>A - B>Bernstein, David S.